Apostolic Vicar of Northern Arabia, HL Bishop Camillo Ballin MCCJ - recounts his childhood and youth, his life as a young Priest and a Provincial, and then as a Bishop. On the occasion of the Golden Jubilee of his Priestly Ordination, our Bishop willingly agreed to give the faithful an insight into his early life, something he has never shared before. Your Lordship, how many brothers and sisters do you have? Can you tell us something about your early life? My parents were Lucia and Angelo Ballin. We are four from my mother, who died in 1947 when she was 35 years old. Born in 1944, I don't remember my mother. My father, after an order from my dying mother, got married again and brought a son. From my mother we are three sisters and myself. A brother died in 1946 when he was only 7 years old. My sisters are all nuns. 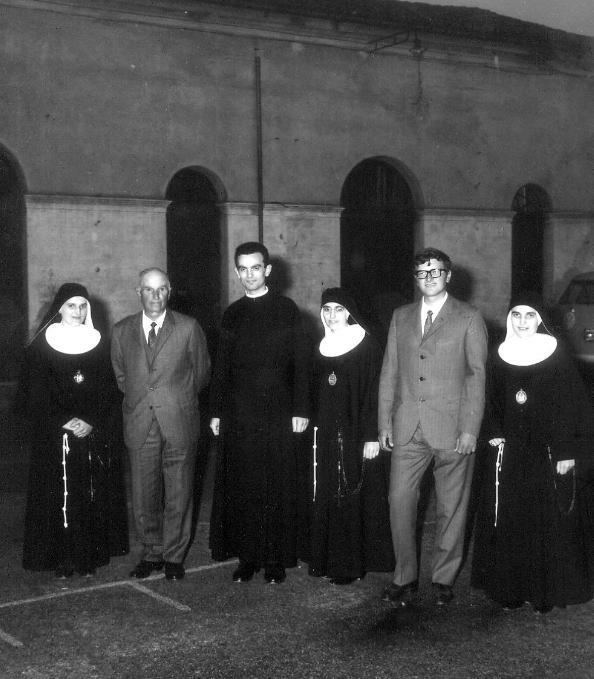 Their religious name is: Sr. Anna Lucia PSSF, Sr. Bertilla Maria PSSF and Sr. Angela Rosa PSSF. My half-brother is Alfonso. My father gave him the name of his son who died in 1946. Your Lordship where did you get your school and college education? I received my initial education in the local school in my village, Fontaniva, a province of Padua. Fontaniva is located about 50 kilometers northwest of Venice and about 25 kilometers northwest of Padua. As for pursuing my higher education I went to college in the near town Vicenza. Vicenza is in northeastern Italy. By profession I am teacher. When asked a very touching yet simple question about how he was as a child, the following reply was not expected. Like a child who lost his mother. There was too much suffering. 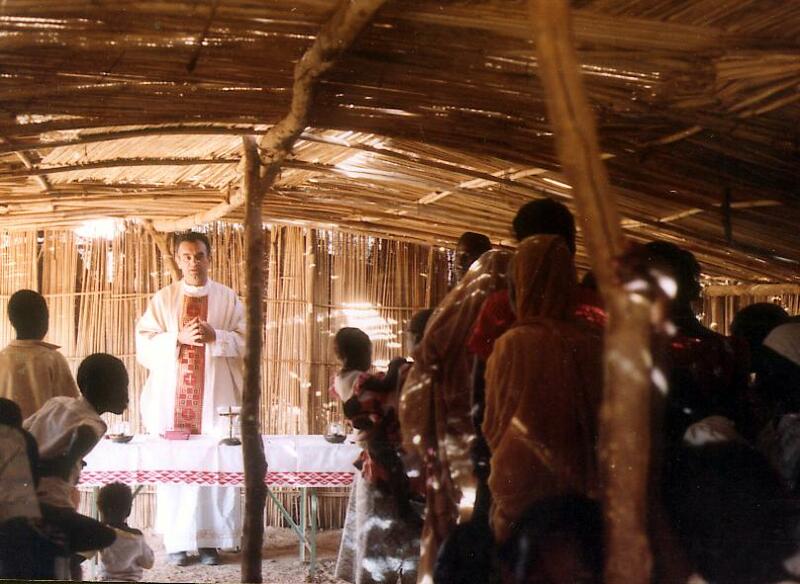 Your Lordship, why did you decide to become a priest and specifically why did you join the Comboni Missionaries? God who wanted me to be more near him, In fact, priesthood is not a profession, as I thought when my neighbor died, but belonging: to belong to Jesus, who sends the priests for a mission. Your Lordship where were you ordained? Can you tell us something about the Parishes you were assigned to, Your Lordship? After my ordination I asked with insistence to be sent to the Arabic countries. My superiors asked me three possibilities, in descending importance for me. I wrote: First: Arabic countries. My superiors were enthusiastic at this request because they wanted to send a young priest to the Arabic countries but nobody accepted. I made propaganda and I left Italy with three other confreres! We were four. I continued my propaganda and the following year four others joined us in Damascus to study Arabic. I studied Arabic for two years, without any vacation. I had three hour school every day during the scholastic year, plus many hours of personal study, and one hour school every day, plus hours of personal study, during the so called vacation time. After two years of study of Arabic, I was sent to Cairo for one year, and then I had to go to Sudan. But after few months I was dismissed by the Archbishop of Khartoum (see the following question), so I was appointed parish priest In Cairo in a French speaking parish, I had to learn French. Your Lordship, can you share with us any special moments as a priest esp. as Parish Priest in Cairo? I was a revolutionary priest. 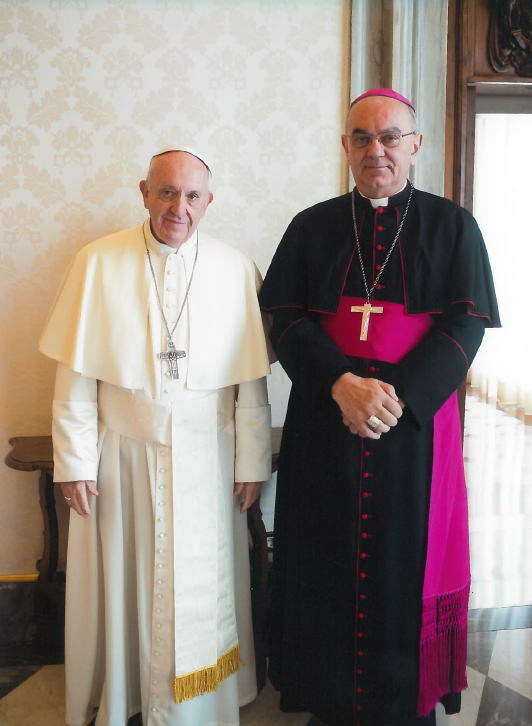 Many letters against me were sent to the Nuncio and to my superior general. But neither the Nuncio nor my superior general told me anything; they saw that what I was doing was that had to be done. 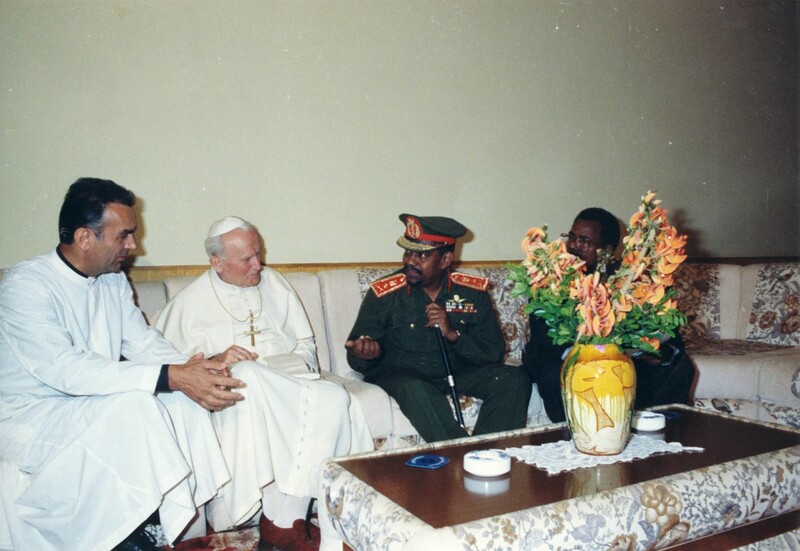 But the Archbishop of Khartoum, whom I never met, was afraid of me and told the provincial of Khartoum not to accept me, to leave me in Egypt. In fact, I didn't remain in Cairo one year only but 19 years. When I became Bishop, the superior general gave me, as a gift, the pectoral cross and the ring of that Archbishop. I thanked him and smiled! He asked me why I smiled; I told him the story of the past. That saint Archbishop, from heaven, wanted to reconcile with me. God is always open to reconciliation, at any time. Your Lordship, Your role as a Professor: what can you share with teachers? In Sudan, where I went after 19 years in Egypt, I had been asked to found an Institute of Theology in Arabic for the teachers of religion in the schools. I organized it as a Sudanese Faculty of a University. We had four hours per day, for four years. Later, the Comboni missionaries founded the Catholic University of Khartoum and "my" Institute became one of the faculties. 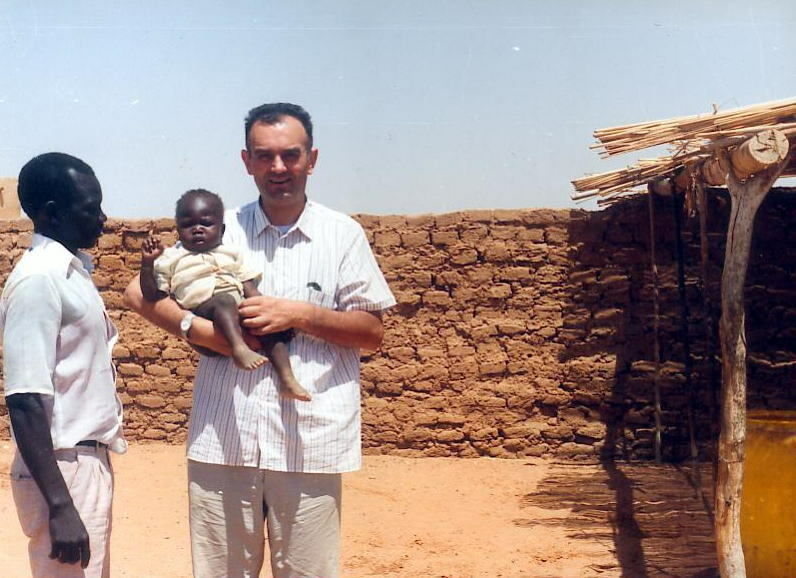 My students were extremely poor and I helped many of them for all the 7 years while I was in Sudan. I was very tired because I was too often seen as a bank. An interesting incident I still remember: One day I was walking to my house and a student followed me. After some time I stopped and asked him how much he needed. He told me: I don't want anything; I want only to tell you that you love us! Never will I forget this witness, which for me is more important than any certificate or medal from any authority, ecclesiastical or civil. I wish to the teachers to love their students. This is all. 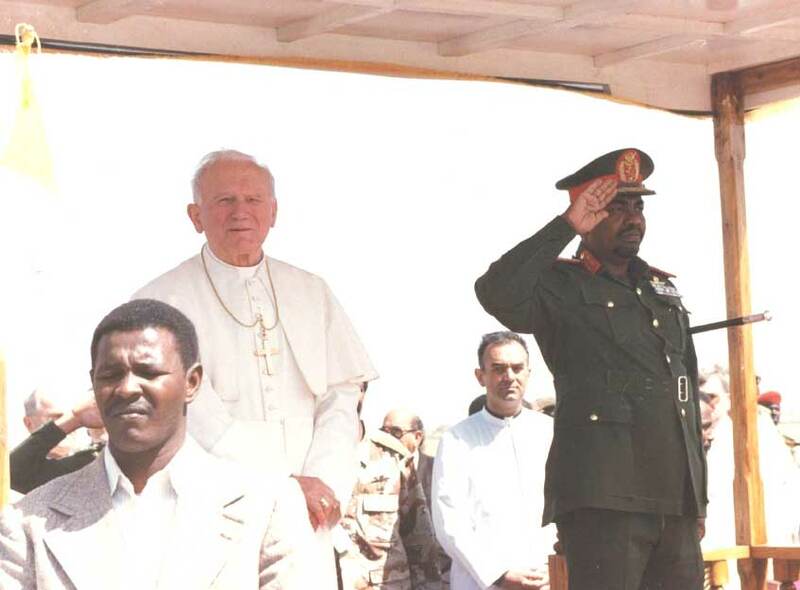 In 1997 I was sent to Rome for my PhD (which I obtained on 2000) on the history of the Church in Sudan. 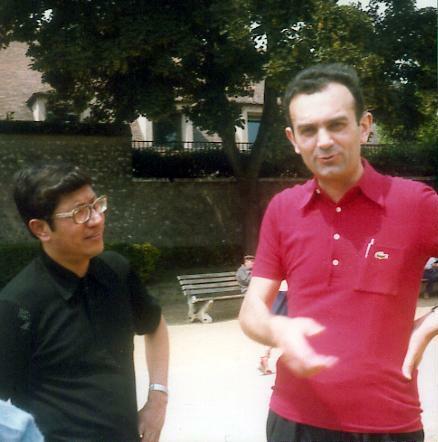 In the same year I was sent back to Egypt as director of "Dar Comboni", an Institute, which I had very humbly started in Cairo on 1984, to teach Arabic to the missionaries, Catholics and non-Catholics. 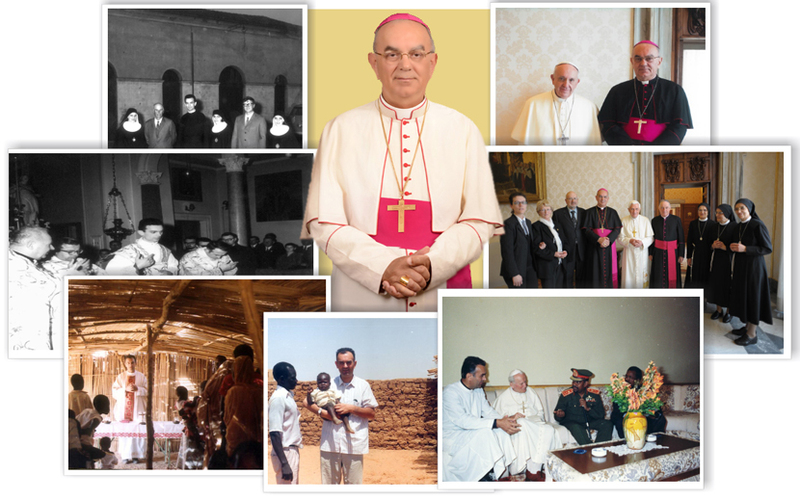 I remained in Egypt for 5 more years, until Pope Benedict XVI appointed me Bishop on 2005. On a lighter note, when asked the following question: were your students scared of you and were you strict as a teacher? His prompt reply was: I loved my students (see above). Sometimes I had to be strong, but they understood that it was for their good. What was your experience as a provincial, Your Lordship? I used to say to my confreres that any personal problem can be solved, except if they don't have a common sense! This problem has no solution. I was provincial for 3 times and it has been a good experience. In the beginning it had not been easy because I was very young (36 years old) and the youngest among my confreres. But, after the first three years, where I was appointed by Rome, they elected me with a very big majority for two more times. At the end I was tired and, to take rest, I was sent to ... Sudan! Your Lordship can you tell us something about your move to Kuwait? I thank God that I am not responsible for my appointment as Bishop of Kuwait. I like very much my ministry and to be with the people. When I was Bishop of Kuwait only (2005-2011) I was freer and went with Jesus Youth to visit many labor camps, especially in the area of Ahmadi. I was very happy to meet those very poor workers. In Kuwait I made my first experience in the Gulf and as a Bishop. It seems to me that the priests loved me, and still I have the same feeling about all the priests of Northern Arabia. It is very difficult when a Bishop has personal problems with a priest or some priests. So far, God did not give me this heavy cross. I am happy with all my priests. Sometimes I tell a priest: When I see you I am very sad! Astonished at this statement, the priest asks me immediately why. I answer: because I see in you a person who is much better than I! We laugh and thank God for the fraternity he put in our hearts. Your Lordship, what is the role of social media in this era since all are so addicted to it? The social media can be of great help. Today, with the e-mail and the many other social media (WhatsApp, Messenger, Viber, FaceTime, IMO, etc.) communication has become much easier and faster. In one second I can send a letter or a message to the other part of the world. However, we should not become slaves of them. When I see especially young people totally immersed in their mobile and not speaking to each other, I feel that those people are like robots. It is important to keep communication through our human ways. My life is very various. Since I am in charge of 4 countries (Bahrain, Kuwait, Qatar and Saudi Arabia), I have to travel a lot. I am officially a resident of Bahrain but rarely I can remain in Bahrain for one complete week, almost never for two weeks. When I come back from my trips, I have many accumulated things to do. I don't have a secretary (nor a driver) and all the correspondence comes directly to my personal e-mail. I like very much to be in contact with the people, but this requires a lot of work. Very often I work till midnight or even more. When I am in Bahrain, I have the daily Mass at 6.30 pm and every day I give a homily. When I am in Bahrain I feel relaxed and I am always happy to receive people and, rarely do I go to visit friends. Even when I am in Kuwait or Qatar or Saudi Arabia I enjoy meeting friends. I can say that all my daily life is spent for others and this is my vocation and my earliest desire: to make others happy. Your Lordship, how do you explain that all four children of your mother became religious? Did you influence each other? Or, what is the secret? The secret is my mother. She died at the age of 35 years. 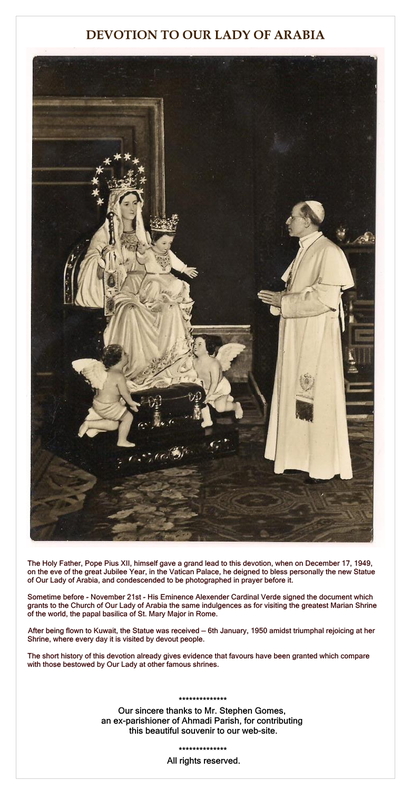 When her death was near, she called the parish priest and asked him if she can make a vow. Having obtained the approval from the parish priest, she told him: I offer my life so that my three daughters become nuns and my son a missionary priest. She told also my father: Get married again and I will take care of our children. And she died. Independently from one another, all my sisters entered the convent, one after the other. No one revealed to the other her desire to become nun. Never had I known that my sisters wanted to become nuns. Just I was seeing them leaving the house and enter the convent. On 1963 I also entered the Noviciate of the Comboni Fathers, a missionary Congregation founded by Saint Daniel Comboni (1831-1881),Apostolic Vicar of all the Central Africa. 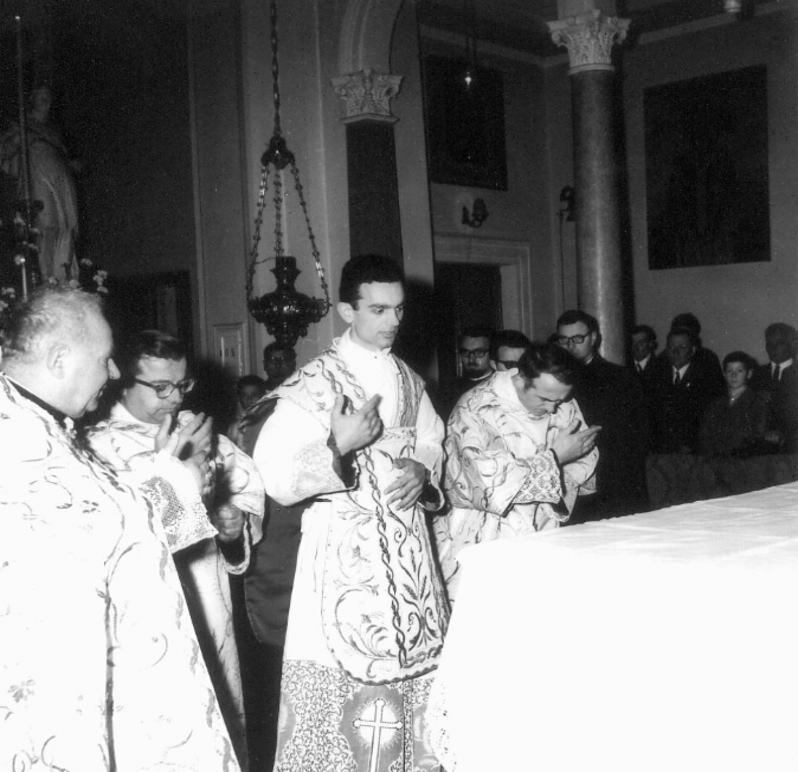 On March 30, 1969, exactly 22 years after the death of my mother, I was ordained priest in the mother house of the Congregation of my sisters. It was Palm Sunday. Two days after, on the Holy Tuesday, the parish priest who received the vow of my mother called me and told me: "Now you are priest and I can tell you a secret that I kept in my heart for 22 years". And told me the vow of my mother. He added: "I did not want to tell you before now because I didn’t want that you become priest for your mother, I wanted you to become priest freely, by your own decision". My mother wanted me to be a missionary priest. In fact, as said above, one month after the end of the scholastic year (June), I was sent immediately (in July) to Syria to start to learn Arabic. I was 25 years old. From 1969 I have been all the time in mission (except the years of my higher studies, but belonging always to Egypt or Sudan). My mother wanted me to be a missionary and I am so for 50 years, never I have worked in Italy. I thought for years what was really the vow of my mother because, with the vow or without the vow, she was dying. She did not die because she made the vow of offering her life, as we may think. In any way, she had to die. Until, many years later, I was in Cairo and a lady approximately of the age of my mother, and sick of cancer, called me. I went to her house and she told me: "Yesterday I cried very much because I have to die for my cancer and I have to leave my five children, all very small. I cried because I have to leave them". At that moment I Understood the vow of my mother. She accepted the will of God that she had to die, to leave her children, to accept that her children will not remember her face because we were all very small. 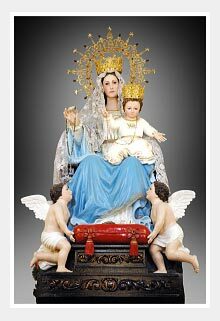 She accepted the will of God to renounce her children, to die. Just she asked God to call us to him through the religious life. And God accepted her offering and remained very faithful to her desire. Who accepts the will of God will perform miracles, for himself / herself and the family. Your Lordship, a final query: what are the challenges you face as Shepherd of the Vicariate of Northern Arabia? 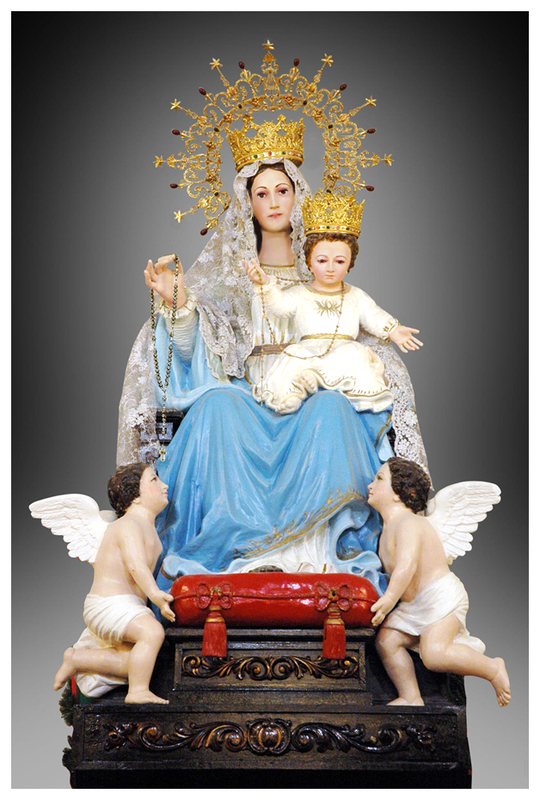 The most difficult challenge is to form One Catholic Church. I respect the Liturgy of every community. In the Cathedral of Kuwait we celebrate in 5 Rites: Syro-Malabar, Syro-Malankara, Maronite, Coptic and Latin. We should not be 5 Catholic Churches beside each other but one Catholic Church. It is a difficult challenge. However, I am happy to have friends in all the communities and this good relationship helps to maintain our unity. in the parish church of his hometown. 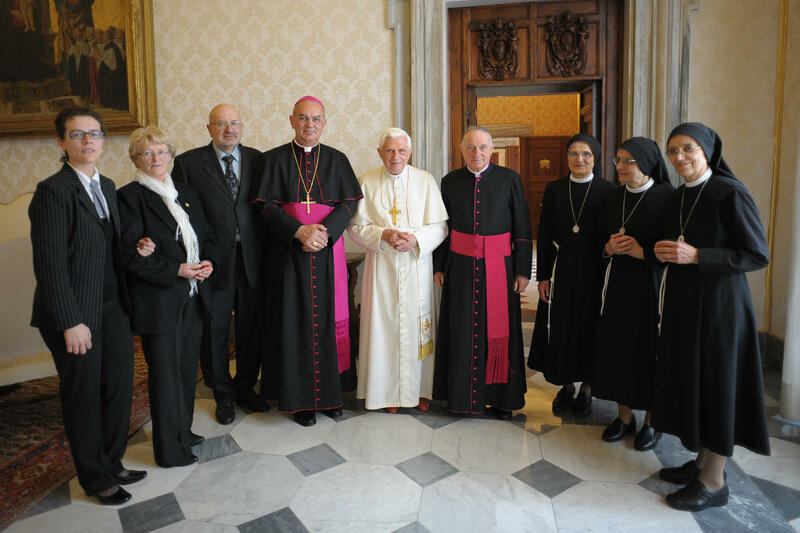 with HH Pope Benedict XVI and his family at the Vatican.